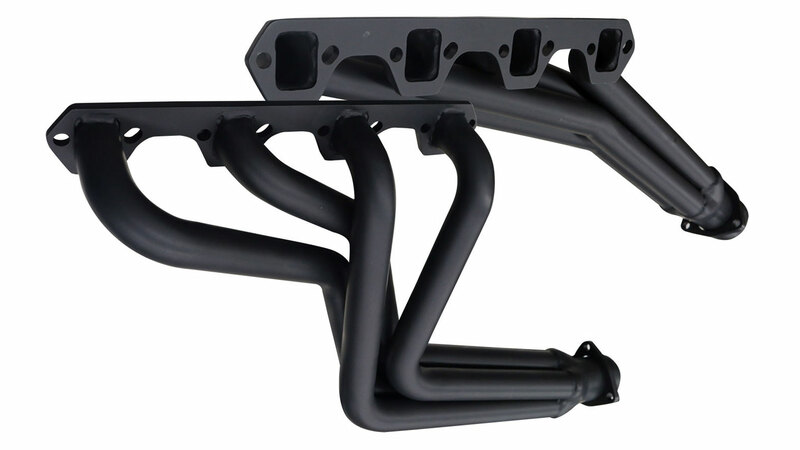 Our NEW BLACK CERAMIC STAINLESS STEEL Long Tube Headers are designed specifically for the 66-77 Classic Ford Bronco. Our long tube headers provide more power and better sound than shorty headers. These headers were designed for the Early Bronco and therefore provide excellent clearance. It is even possible to remove & replace the starter without removing our headers. These headers are coated with a durable ceramic finish designed to handle temps up to 1800�! WILL REQUIRE MODIFICATION IF USING AN AUTOMATIC OVERDRIVE TRANSMISSION. Will require bending and grinding. Also note, due to the extreme heat that goes through the exhaust, the finish on these headers will likely discolor SLIGHTLY.